En los años veinte, dos brillantes estudiantes judíos secuestraron y mataron a un joven sin un móvil aparente. 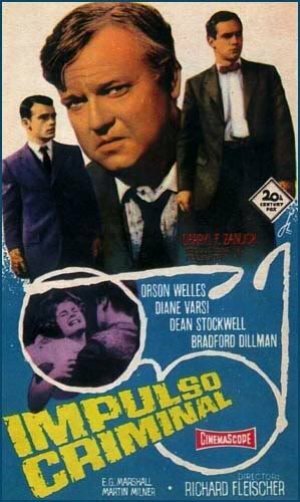 Orson Welles, Diane Varsi, Dean Stockwell, Bradford Dillman, E.G. Marshall, Martin Milner, Richard Anderson, Robert F. Simon, Edward Binns, Robert Burton, Wilton Graff, Louise Lorimer, Gavin MacLeod, Gerry Lock, Henry Kulky, Peter Brocco, Simon Scott, Terry Becker, Jack Lomas, Voltaire Perkins, Ina Balin, Harry Carter, Dayton Lummis, Wendell Holmes, Russ Bender. Richard Fleischer (Dirección), William C. Mellor (Montaje), Richard Murphy, Meyer Levin (Guión), Lionel Newman (Música).